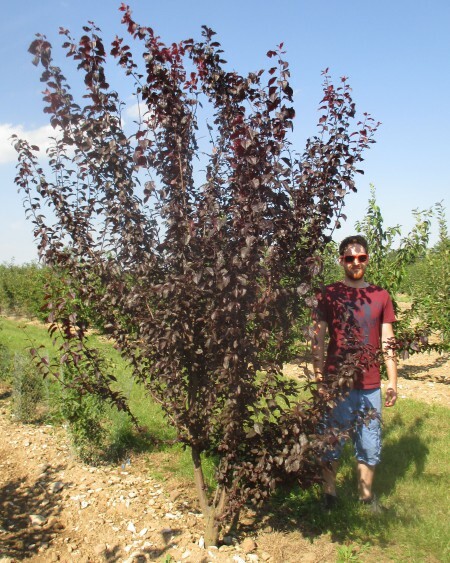 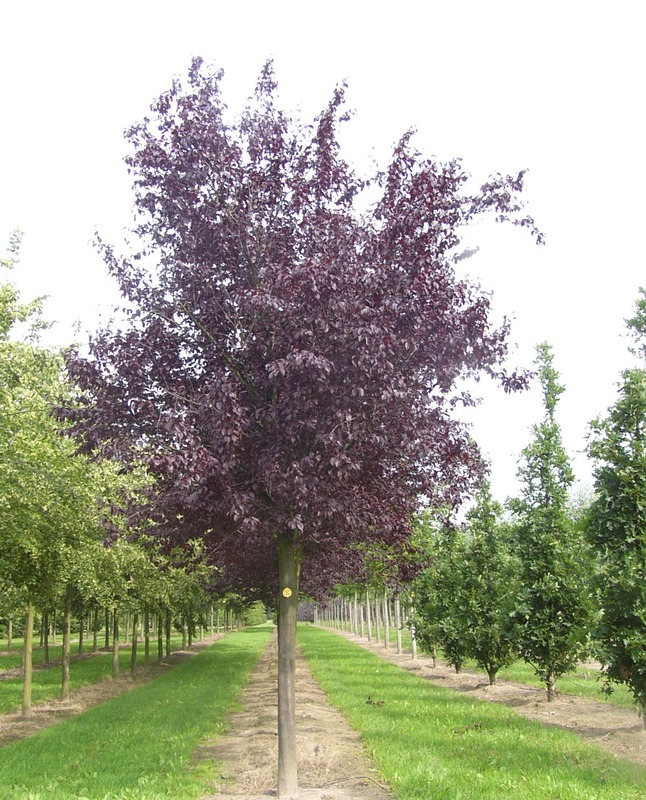 This Purple Plum tree has distinctively dark brown bark and pretty single pink flowers that appear early in the spring and remain on the tree whilst the dark foliage begins to emerge, gradually fading to white and contrasting fantastically with the dark leaves. The small leaves are deep blackish-purple which turn a brighter red in autumn. 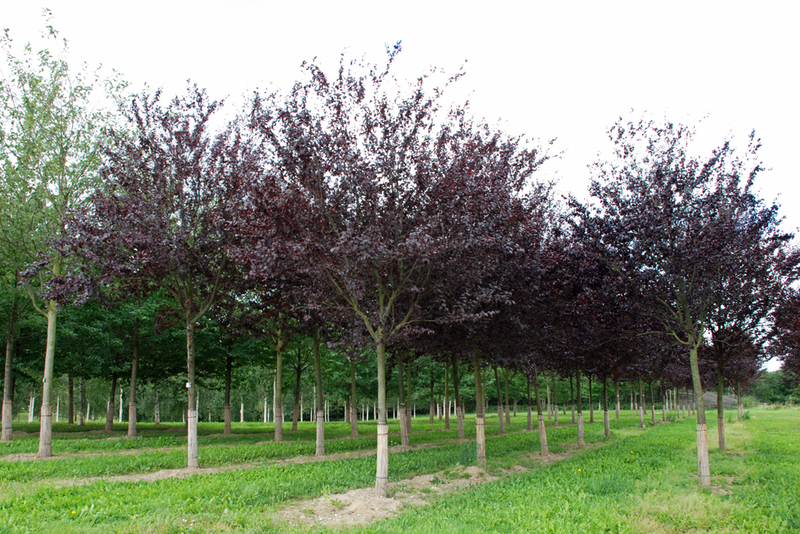 It will tolerate most soil conditions, thriving particularly in well-draining soils. 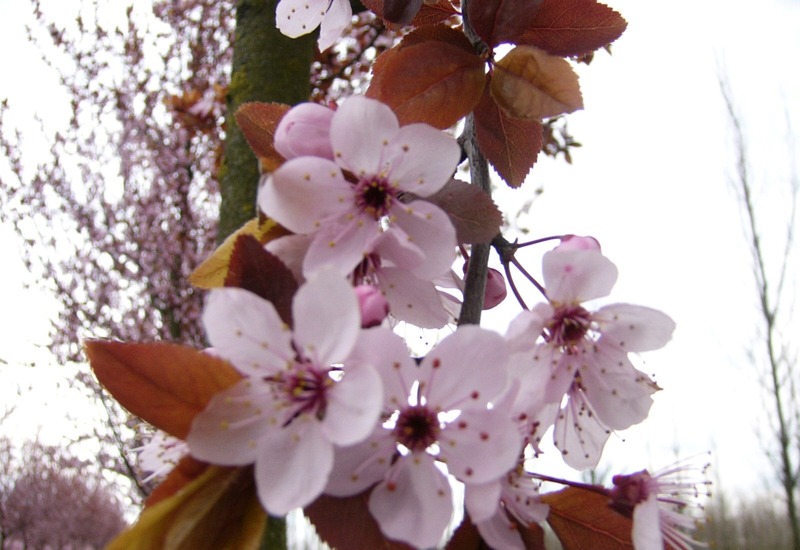 Unlike many of the species, Prunus cerasifera Nigra will tolerate very severe pruning, making it easy to maintain and therefore a perfect tree for small gardens.